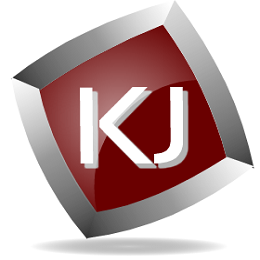 KJNewswire delivers web-based press release writing & distribution services, which help acquire the most extensive coverage for your news over 2000+ media, newspaper, radio and TV outlets, which are news specific. Different from other providers, we ensure publication with a transparent reporting process with live placement links. Your news is SEO optimized and placed in FOX,CBS,NBC,CW affiliates, popular TV, radio sites & system journalists result in subscribing to pickup content and references. Flat Rate discounts on huge volumes which is atleast 70% lesser than our competitors. Dependable and convenient online customer support system with time bound resolution of queries. Get your press releases featured in the major search engine's news feeds like Google News, Yahoo, Bing as well as in the sites of leading TV channels and radio stations for that extra chance to gain exposure. We employ every resource available to take your news to the target market and also provide a full pick-up and distribution report 48 hours from the time of your release's publication. "KJPR News does great work. We do our best to publish great authors here at Patriot Media, Inc. and KJPR news is a major factor in our authors success. We appreciate your support. " - Dari Bradley, Patriot Media Inc.
As best as it Gets! !